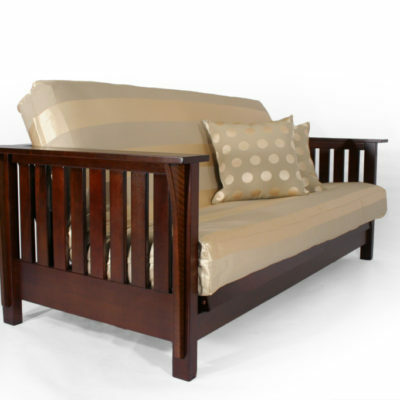 The Adriana Wall Hugger™ Futon Frame from Strata features a solid finished wood back that allows for placement in the center of any room! 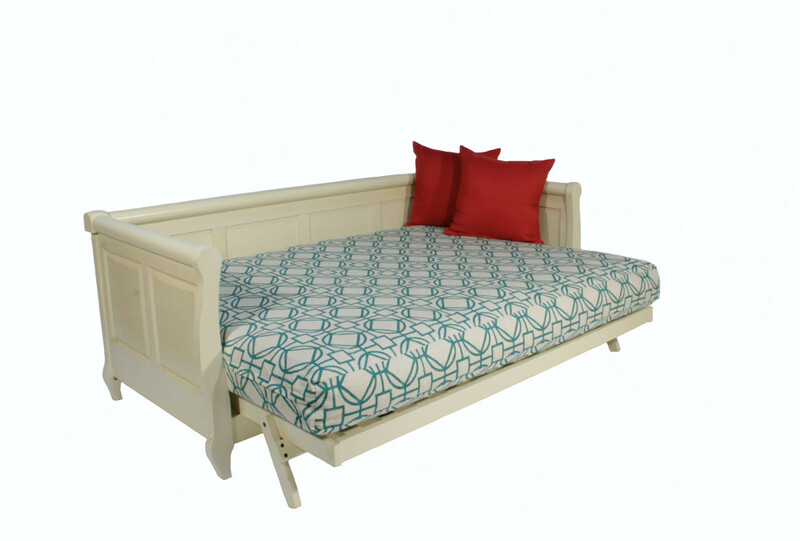 This beautiful futon frame has a flawless design and allows you to easily convert into a bed without having to move it away from the wall. 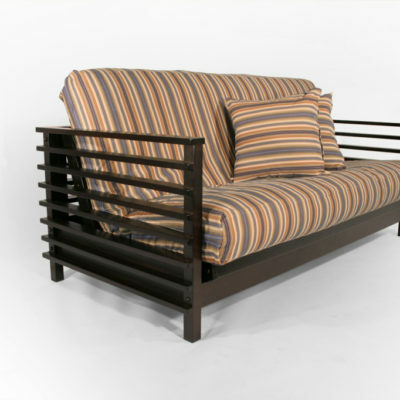 Strata wall hugger futon frames are all coated with low VOC finishes. 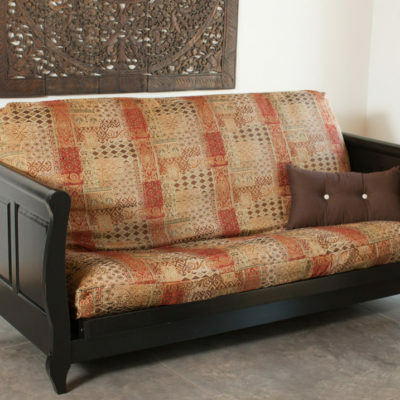 Also available in Black Finish! 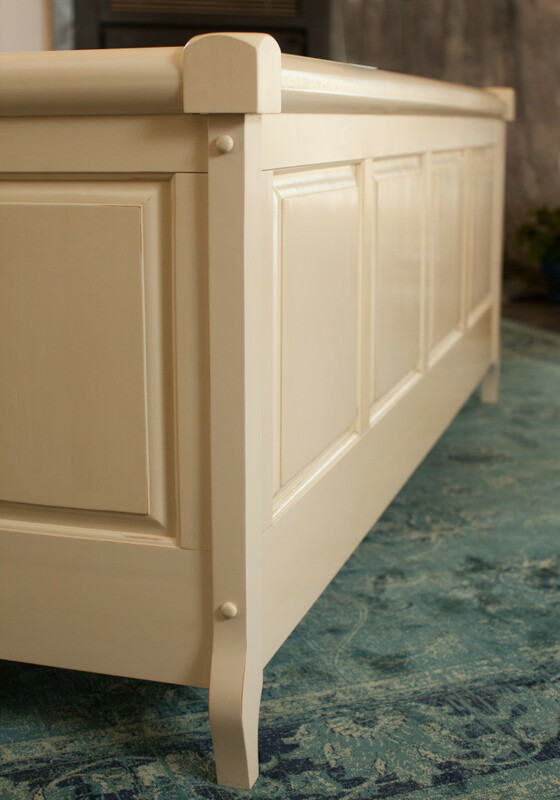 The Adriana utilizes our Wall Hugger™ technology and comes in Antique White and Antique Black Finishes. 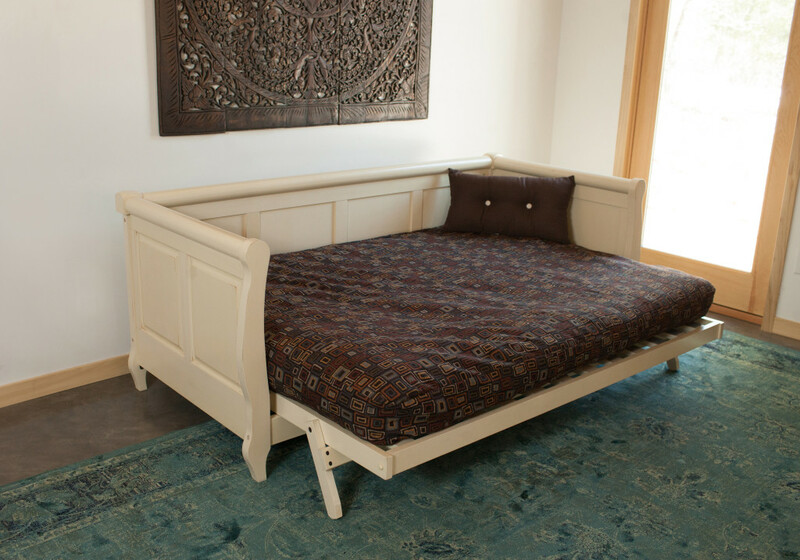 Because it is from our Signature Collection, the Adriana has a finished back which remains in place even as a bed. 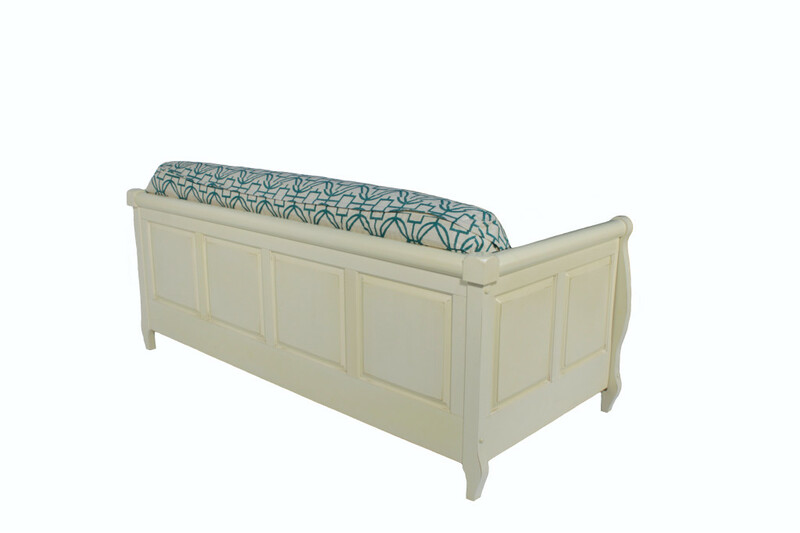 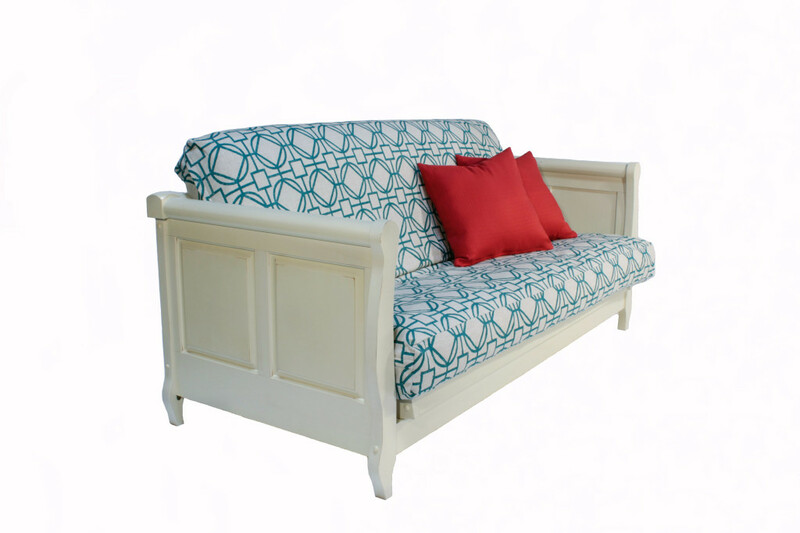 Daybed, Sofa, or Futon Frame; this versatile beautiful piece of furniture features inset panels, curved arm caps and many other stylish attributes.